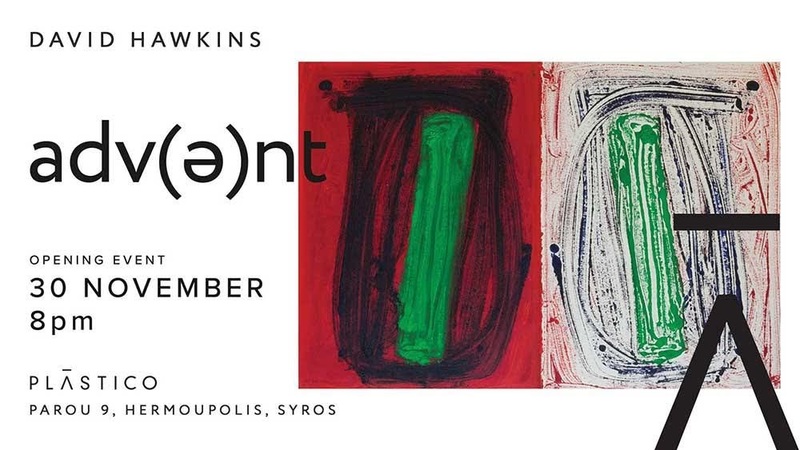 Plastico (Art - Design - Coffee) is pleased to announce the opening of a new exhibition, Adv(ə)nt by David Hawkins. This time around we will host the mesmerising work of English painter, David Hawkins. David Hawkins was born in Gloucester and educated at Randwick Village School and Marling School, Stroud, where he lucky enough to be taught by an exceptional artist, Kenneth Lauder. He took a BA(Hons) degree in Politics at Liverpool University. Later in life he studied at City & Guilds of London Art School and Goldsmiths College where he was awarded a BA (Hons) degree in Fine Art. He now lives and works in Berlin, Germany and Syros, Greece where this work was produced. 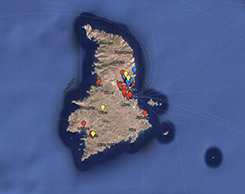 His working practice is imbued with spirituality and the light and colour of the Greek island that he now calls home. “David’s work is deceptive, at first glance it seems one understands it quickly but it is much more complex and rewards repeated viewing.” - Terry New, Past President Royal Society of British Sculptors.